Locally in Omaha, the Midlands Business Journal is a great publication to see information about anything business. From new hires, to new businesses to what is going on, I’ve always picked up the MBJ to get in the know. 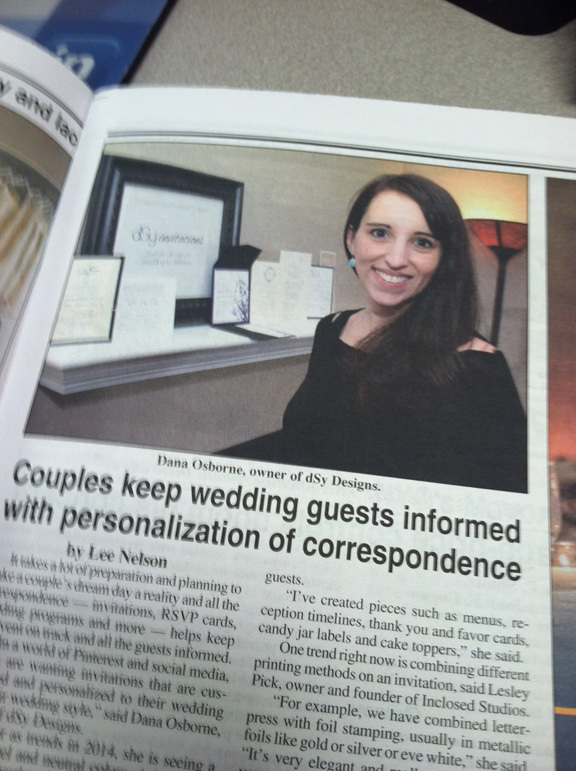 So I was super thrilled when I got contacted by the MBJ about their weddings section in the January publication. And at the time, I didn’t know the extent of what this was going to be. They asked me to answer some questions (check), they asked me to send in my headshot (check) and I was done. Whoa! Like an actual newspaper article! I was beyond excited to see this and love that I can talk about wedding invitations and help brides come up with something truly unique for their wedding day. Thanks to the Midlands Business Journal for this great exposure! I will post the entire article soon.